As the Regional Center’s name implies, Loop 410 and Interstate 35 have a significant presence in the area. 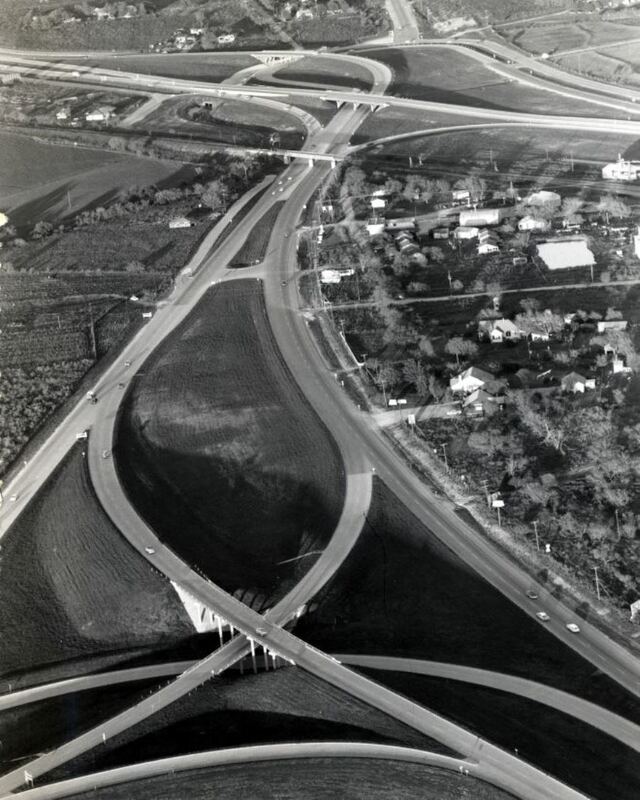 Marveling at the loops and flyovers that form the highways’ massive interchange, it is interesting to note that what is present today is just the latest evolution of transportation systems in an area with a long history as a crossroads. The earliest trails and roads through the lands of the Regional Center were animal paths leading across the Texas prairies to streams, creeks, and rivers, following the path of fewest obstacles. Native Americans expanded these routes to incorporate seasonal camp sites, hunting areas, and villages. When Spanish explorers starting arriving in the 1600s, they also used the existing trails to navigate between what is now Mexico, Texas, and Louisiana. During the Spanish Colonial era, the dirt trails were widened and improved to facilitate the movement of horses, wagon trains, soldiers, and settlers. As the Spanish established missions in South Texas, the trails became better-defined roads and were critical in linking far-flung outposts in Texas and Louisiana with Mexico City, the Spanish capital in the New World. Because these routes provided access to the Spanish capital, they were generally referred to as caminos de realeza (royal roads). 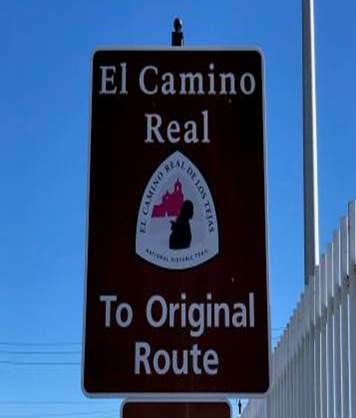 One significant alignment in the royal road network was the El Camino Real de los Tejas, which traverses the Regional Center along Nacogdoches and Bulverde Roads. The route is today marked with National Park Service signage. By the late 1800s, the lands comprising the Regional Center had been carved into farms and ranches by immigrants from several parts of Europe, particularly Germany. 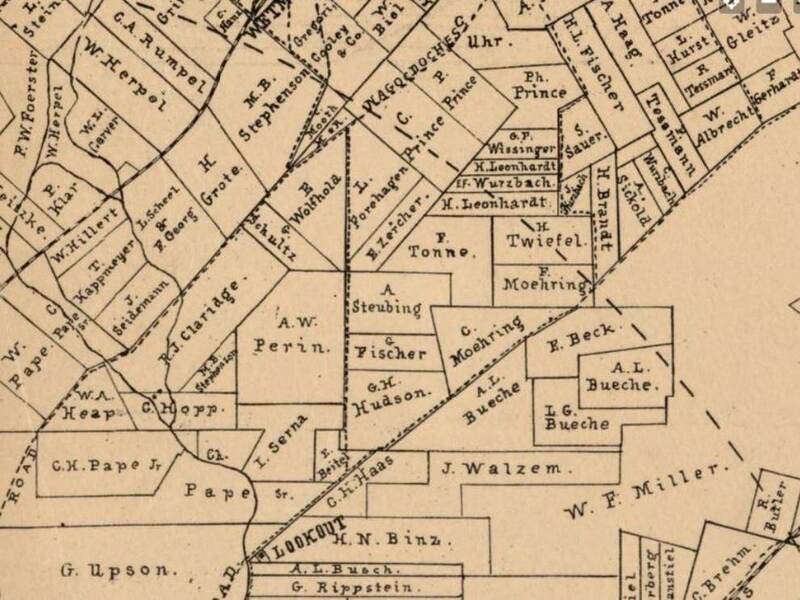 Many present-day street and place names such as Perrin Beitel Road, Walzem Road, and Serna Elementary School bear reference to some of these early landowners. 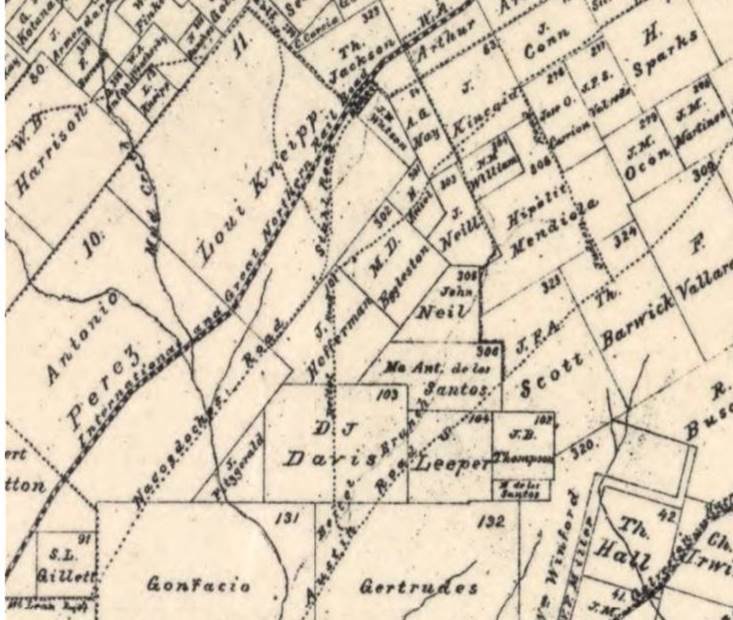 Maps from this time period show the early alignments of Nacogdoches Road, Austin Highway, and Perrin Beitel Road connecting farming communities and markets. Many of these routes were evolved from established trails. Some land in this area became part of statewide rail networks in the 1880s with the arrival of the International & Great Northern Railroad (I&GN) and later linked to national rail networks with the Missouri-Kansas-Texas Railroad (MKT) in 1901. Small communities grew up around these rural crossroads and rail stops. The town of Fratt, TX was founded by German settlers prior to 1900 and became important as a flag stop station with the arrival of the MKT. Fratt was the MKT’s last stop before reaching San Antonio and, by the 1930s, the community boasted a general store, church, station house, and scandalously, a saloon that was rumored to be a brothel. The town of Fratt no longer exists; it was demolished to make way for the NE Loop 410 and I-35 interchange. Other small communities with similar fates included Longhorn Village, which housed workers from the Longhorn Quarry, and Short’s Corner, a crossroads community at the present-day intersection of Perrin Beitel, Nacogdoches, and Thousand Oaks roads. After World War II, agriculture became less important to the economy of the area. San Antonio city limits expanded northward into the area starting in the 1950s and continued for the next two decades. With expansion came the need for better transportation networks; the age of the interstate highway had arrived. This would have a huge impact in changing the character of the area from rural to suburban. The Loop 410 and I-35 interchange was complete by the early 1960s. Portions of these highways followed the same alignments of several predecessor routes including Loop 13 and the Meridian Highway. The NE 410 and I-35 Area Regional Center Plan is a long-term plan for the future. Thanks for taking the time to read about how we will make the plan and how you can be involved! 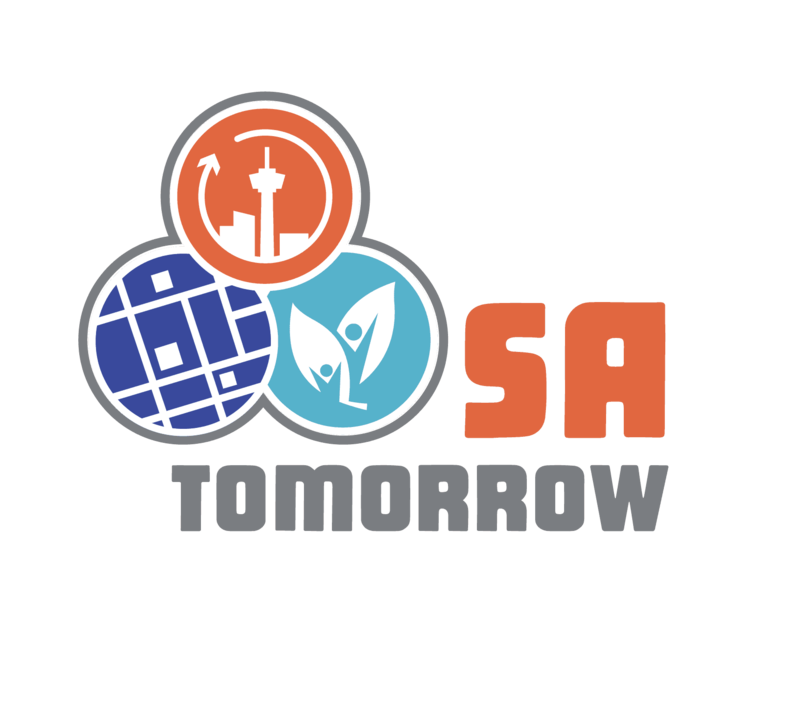 NE 410 and I-35 is one of San Antonio’s emerging Logistics and Services Centers and a major catalyst for growth on the northeast side of the city. Click here to learn more about the NE 410 and I-35 Area Regional Center Plan.